Every shooter knows that it is very important to have the right training in order to achieve the best results. Unfortunately, even if you have a lot of training sessions, the 'number' of these sessions does not consequently mean a 'quality' training and does not allow you to reach the best possible performance because of a low level of training. 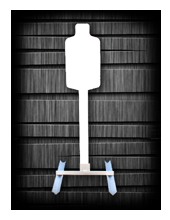 Very often shooters use traditional targets (paper target), that are very useful for beginners or during the first part of a training. In fact, during recent studies, it was noticed that shooters have a slower improvement rate due to the impossibility to have an immediate response on his shooting accuracy, having to wait until the end of the full exercise to check his results and act consequently. 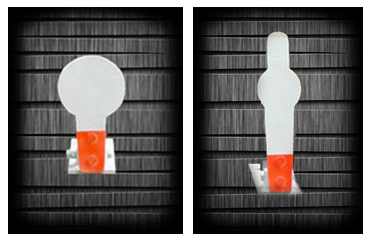 With this kind of target the shooters have an immediately reaction when their shot hits a specific part of the target. SPS INVICTUS s.r.l, has recently begun the production of metallic reactive targets, even for pistols and rifles, all the materials are certified from the Italian Ministry of Defence. All these targets are mechanically auto-reset, so that the shooter doesn't have to stop his training to set up his target, saving a lot of time. Even during team training, all the shooters can train without interference with the other shooters, making it a very good method for team long range shooting. Last but not least, these targets can be used with all kinds of weather conditions, without having any problem with rain, wind etc. 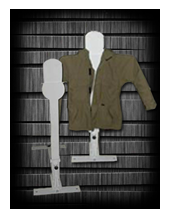 ; unlike the traditional targets that force the shooter to stop for replacement of the target. This target has two different parts which can be used together or not. You have a plate behind the main target that you can regulate according to exposure. This plate both works as a target down or a mechanical auto-reset. You can also use only the main target for long range shooting. In fact, on long distances it is very easy to see when you hit the target, also because the target produces a "gong" sound. your time to adjust your paper target. 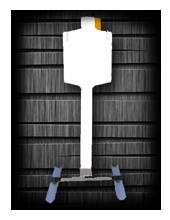 This target has been designed for use with M4 at short distances. 338 Lapua prof is widely used in sniper training especially at long distances. 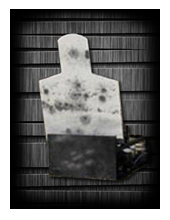 These kind of reactive targets are all rifle grade, so you can use them either with high velocity bullet or low velocity caliber ( pistols and revolver ). They are designed to improve accuracy shooting at medium distance (100 to 500 mt). Both targets are mechanically auto-reset, so it is very easy to understand if the target is hit, and you can continue your training without having to stop. The URT, is the most recent project of SPS INVICTUS. It is our answer for all the operator / teams that needed an advanced device to simulate a real Tactical scenario, using moving targets. Every operator knows how important it is to train on moving targets in order to improve the Tactical skills on the field. This is especially true for advanced and experienced snipers. This kind of device is able to move easily on the field, at very long ranges (1000 Mt) and it can be equipped with many different targets to simulate different Tactical situations. It is very reliable due to the minimal use of electronic parts, as the S.P. concept says; "less parts you have..., the less you can brake or damage"!. The URT, is a moving target, bullet proof class NIJ III ( 7,62 NATO ), with a wireless remote control, that responds up to a range of 1000 Mt, with a velocity ranging from 3 km/h to 9 km/h. 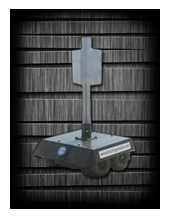 A mini-cam is mounted to control direction path of the URT.